Everyone experiences depression at some point in their life. It’s inevitable. It’s part of what makes us human. When depression hits, you need to proactively treat it. Whether it’s through your nutrition or talking a walk in nature, there are many natural ways to help you cope with the condition. 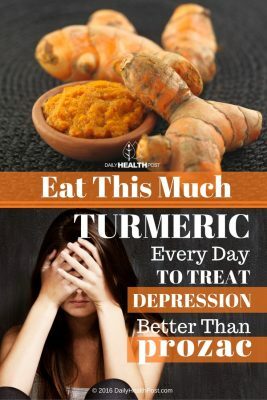 If you have depression and don’t want to take prescriptions pills like Prozac that cause side effects such as “suicidal ideation or other psychotic disorders,” then turmeric might just be what you’re looking for. 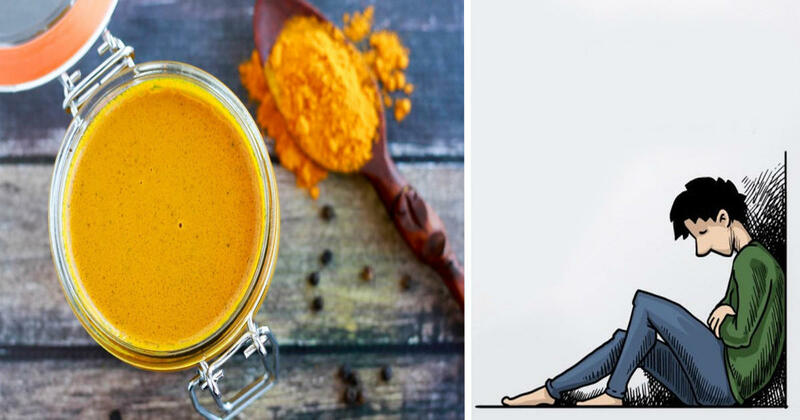 In a study published in Phytotherapy Research, researchers found that ingesting 1,000mg of curcumin (in two divided doses of 500mg) each for six weeks proved to be just as effective at treating depression than the common anti-depressant drugs currently on the market. Turmeric contains approximately 2 percent curcumin by weight, so a tablespoon of turmeric, which weighs 6.8 grams, contains about 0.136 gram curcumin, or 136mg. Since turmeric contains very small concentrations of curcumin look for standardized 95% curcumin (curcuminoids) supplements. Then, using these supplements, simply crack them open and add its contents to your smoothies. Combine this natural solution with 30 minutes of light exercise for best results.